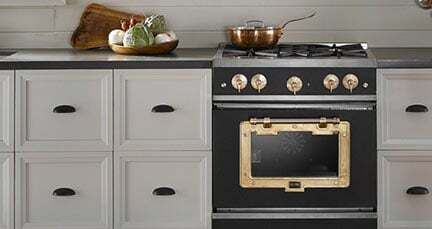 Charting a new course for industrial chic design, the Big Chill Classic 1900 Series Stove mixes textured metals like brushed brass, distinctive finishes, and rich colors, making it easy for style-hungry cooks to turn up the heat. The Classic is a seamless addition to any industrial chic kitchen—at once rugged and robust, sleek and versatile. Professional level power up to 18,000 BTUs means there’s nothing this appliance can’t handle. The large capacity oven is roomy enough for even the most ambitious feast, while a convection fan ensures perfect results every time. Full extension oven rack, electronic ignition, 1850-degree broiler and a natural gas or propane option add even more functionality to this vanguard of kitchen appliances. And in deep-dyed 6 colors and 3 metal trims, the handcrafted silhouette is rich with character and matches virtually every space. 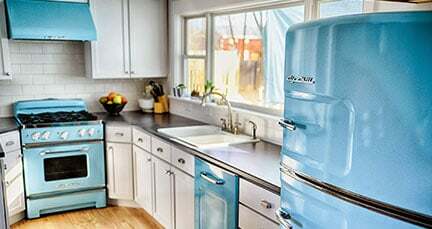 »With a curbside delivery your range or wall oven is brought to the first dry area near your home (usually the garage or front porch). »If there are stairs or other issues that prevent easy access, the delivery personnel will leave the appliance at your curb. 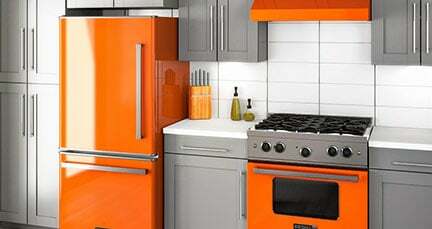 »You can remove the range or wall oven from its pallet and take it into your house. Grab your tools and a few of your strongest friends. The shipping weight for our range is over 300 lbs. The wall oven weight is over 200 lbs.